"love bug foundation, inc." offers pet food assistance to senior citizens, disabled persons and veterans experiencing financial hardship who reside in Clayton County and Fayette County in Georgia. The organization was founded in 2014 by Sean and Stephanie Joyner "in honor of their pets they have loved and lost." "love bug foundation" recognizes that many pet owners are having difficulty paying for their pets needs because of financial hardship. 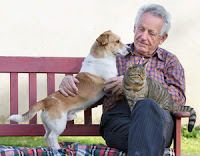 The current assistance program is the Pet Food Assistance Program that provides a one month supply of food for up to two companion pets per household. Additional assistance programs will be launched at a future date. Requests for assistance are granted on a first come first served basis, resources permitting. Go to www.lovebugfoundation.org or call (404) 419-6349 for an application or more information.